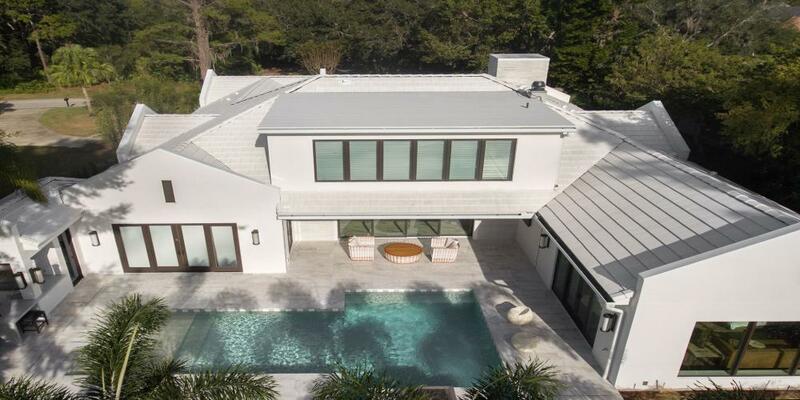 The master bath of this estate seaside home is housed in a turret with a 12-foot diameter. The circular space was opened up with the relocation of the water closet, tub, and open-concept shower, creating a more inclusive space and bringing natural elements—particularly the beauty of the nearby Atlantic coast—into the room. 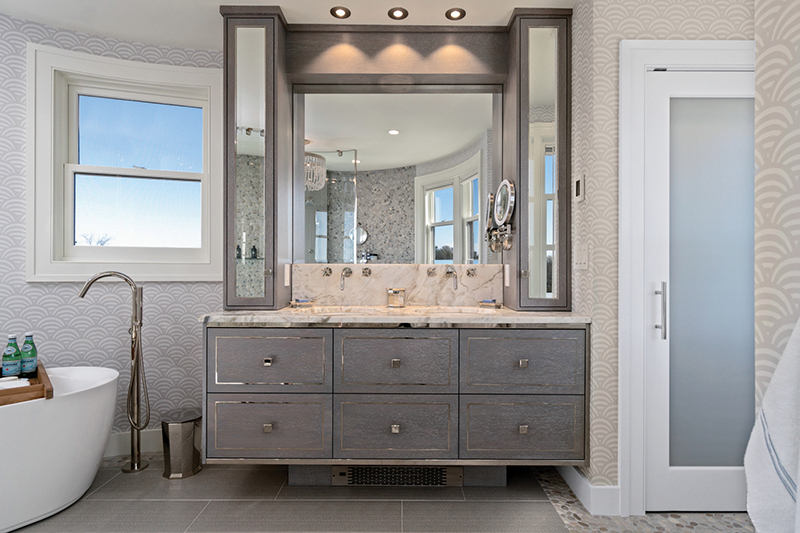 The lack of shower doors allows for a graceful, uninterrupted flow throughout the space. A curved glass splash panel not only provides a centerpiece for the room, but its arc also serves as a visual echo to the rounded wall nearby. A pebble-tiled shower in a soothing hue adds another coastline element to the design. Originally meant to be pebbles as well, the grey tile behind the shower fixtures was selected to complement the vanity coloring.